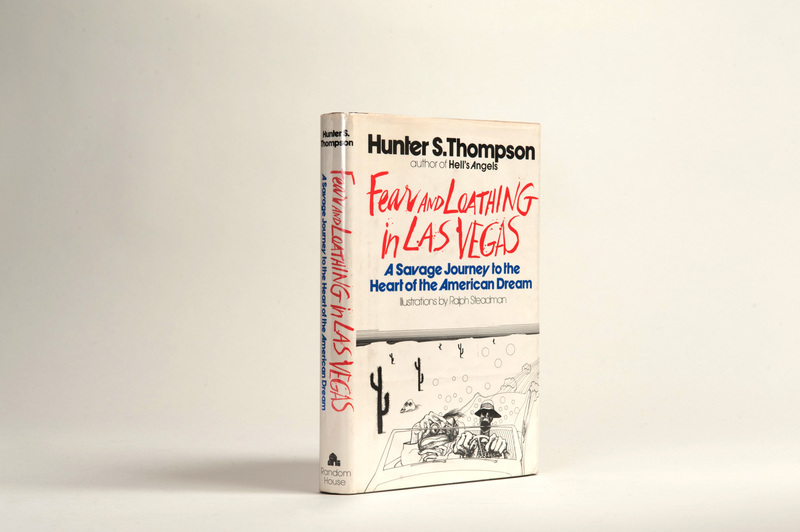 The iconic text of American drug and counterculture of the sixties and seventies, Hunter S. Thompson’s “gonzo” journalism provided a wild look at a trip to Las Vegas to cover a desert motorcycle race. Famously illustrated by Ralph Steadman, many of whose original images from this book covered the walls of a generation of admirers. This copy contains new illustrations, done with an exuberant ferocity and imaginative power that make the original illustrations look tame. 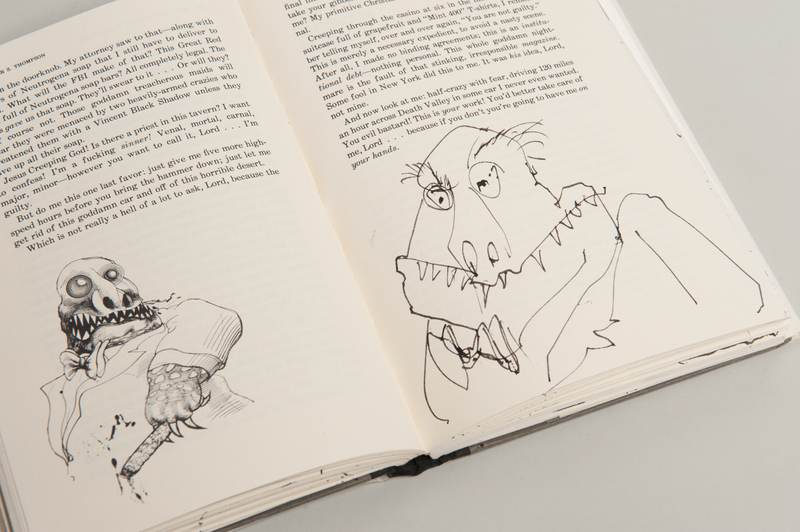 Ralph Steadman confirms that this copy of the book is unique, though occasionally, he has added an illustration to the end-papers when he has signed a copy. With its astonishing new material, this book re-imagines and reinvigorates an American classic. Adapted into a film of the same name in 1998 by Terry Gilliam, starring Johnny Depp and Benicio del Toro. New illustrations on some 55 pages, including 14 full page and 4 double page ink drawings across the text and rear end-pages. 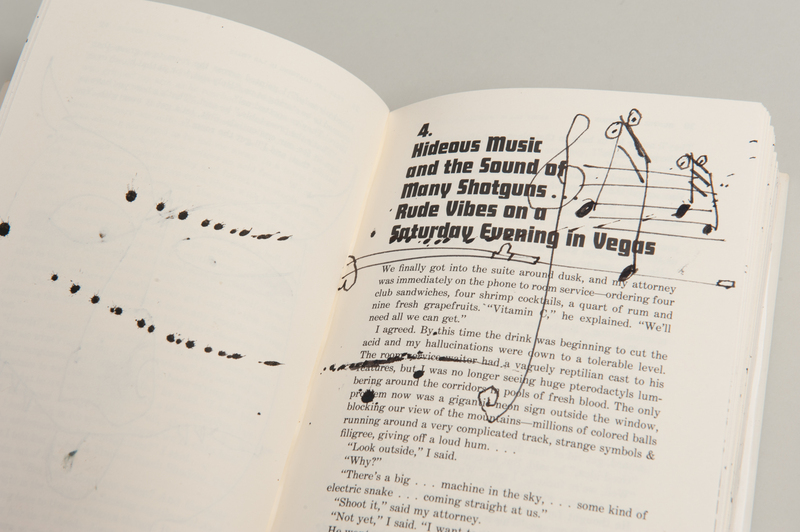 Also additions to the printed original illustrations, and characteristic ink splatters across other pages. Two new portraits of Hunter S. Thompson. New illustrations by Ralph Steadman.